We would like more students to sign up for the June 26 – July 1 6 Day Combined Combat Team Tactics / Combat Patrol Class. These combined classes were originally put on at the request of students to allow them to save money on travel by combining classes. There is an economy of scale built into the class fee with the usual 6 day class running at $1100, and the current summer discount making that $1000. We have students attending these classes from as far away as California and Alaska, flying unto Dulles without incident, or driving up from places like Florida or Texas. For the cynics out there, who see everything that MVT does as simply a money making venture, the driving force behind wanting to get as close as possible to 12 students is that the Combat Patrol portion of the class is run at both team and squad level. The closer we have to a squad, preferably upwards of 8 students, enhances the training experience of all. The CTT and Combat Patrol classes tailor to each other, so for example you move from doing break contact drills at team level on CTT, to then running bounding overwatch scenarios, where a satellite team in overwatch will suppress while a team in contact maneuvers out, then both teams will maneuver away from the enemy. 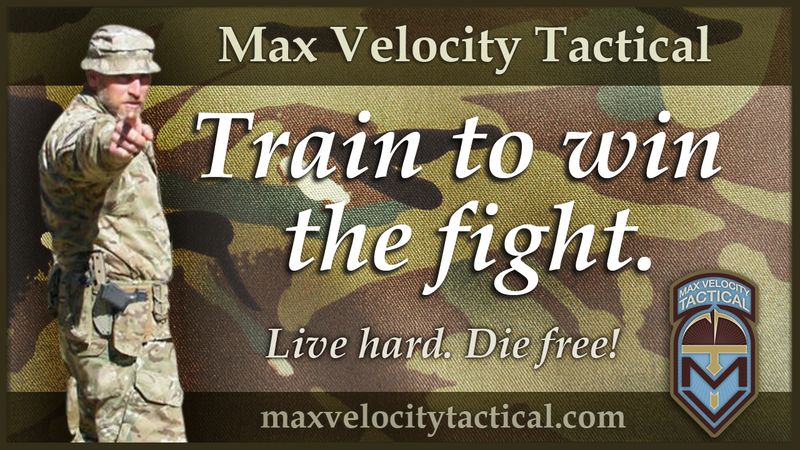 I will also take bookings for the CTT or Combat patrol portions only of this 6 day, to which the summer discount will apply ($500 per class). Full class bookings will take priority until June 10, after which I will book all comers on a first come first serve basis. Email me if you want to go onto standby for those places.